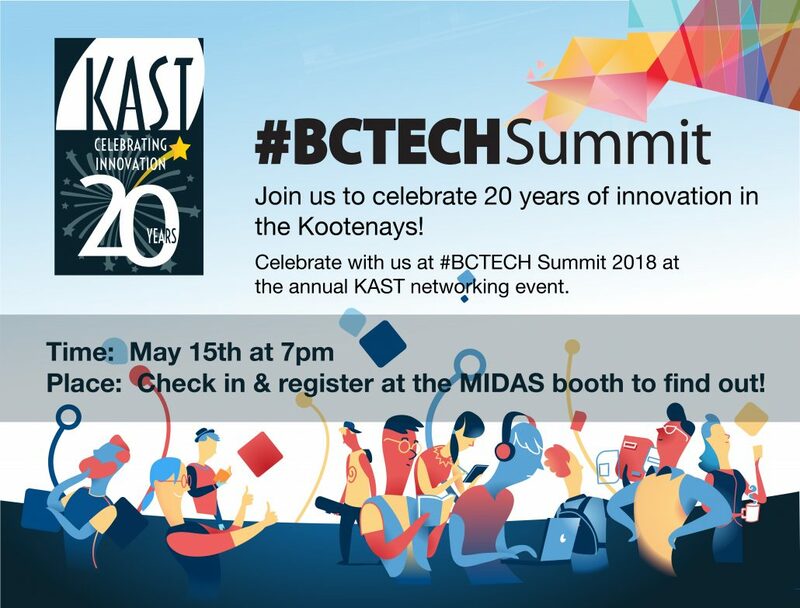 REMINDER: 20th Anniversary KAST Meetup at #BCTECH Summit! Just a friendly reminder to all the Koots tech pros and knowledge workers off to this year’s #BCTECH Summit…. We’d love you to help celebrate the 20th Anniversary of KAST! We’ll be in the booth with MIDAS and would love not only to connect with you, but invite you to our popular Kootenay networking event in Vancouver, May 15th at 7:00pm. Be sure to make your way to the MIDAS booth at the Summit, have a visit, register with us, and pick up your FREE ticket(s) to our evening meetup. 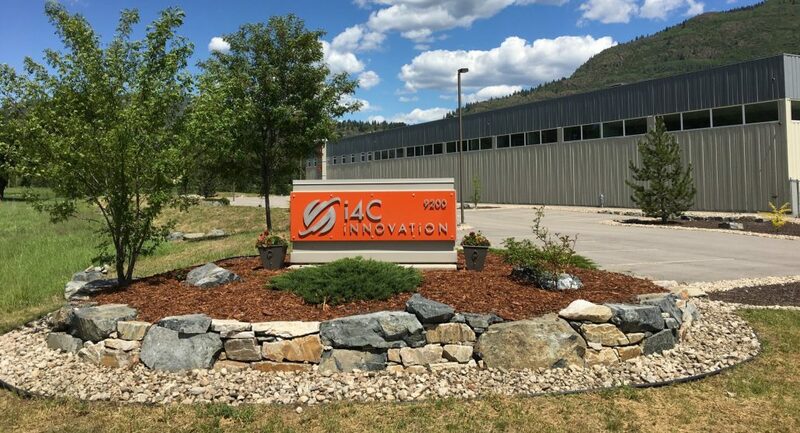 Sponsored by KAST and LCIC, this networking event is a great opportunity to meet new Koots tech professionals, connect with peers & colleagues, share Summit experiences, and chat with other Kootenay folk in a fun and casual atmosphere. Last year some great connections were made and you never know who’s doing what right in our own backyards! The tickets are free, food and drink will be provided, and there will be a fabulous prize draw during the get together! We’ll be providing more deets about the event when you check in with us at the MIDAS booth. The Summit is fast approaching, so be sure to put this special KAST 20th Anniversary event on your calendar. We look forward to seeing you – very, very soon!! – in Vancouver! http://kast.com/wp-content/uploads/2018/05/BCTECH-Summit-KAST-20th-Celebration.jpg 3755 4941 Tracy Connery http://kast.com/wp-content/uploads/2019/03/KASTLogo-2019-white-lo-1.png Tracy Connery2018-05-04 10:21:142018-05-04 10:23:43REMINDER: 20th Anniversary KAST Meetup at #BCTECH Summit! Celebrating 20 Years: Where the KAST Journey Began! The KAST team is so excited to be celebrating such an incredible milestone! 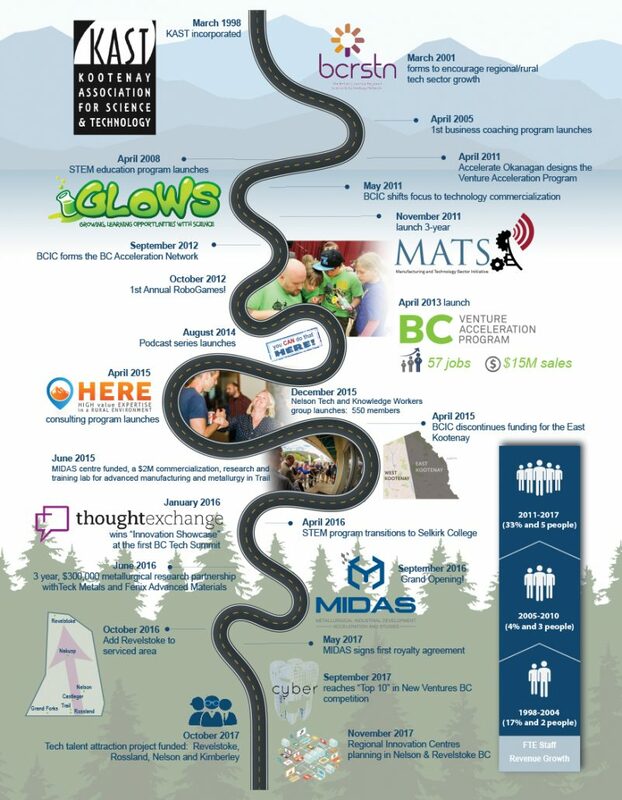 20 years since the inception of the Kootenay Association of Science & Technology, the KAST journey has been truly a zig-zag of adventures, embracing new and creative ideas to help foster a new culture embracing innovation and encouraging a culture of startups and entrepreneurship. 20 years ago KAST registered as a non-profit society serving the West Kootenay-Boundary region and representing a broad range of interests in local industry, business, education and government. In the mid-nineties, the Science Council of BC (SCBC) – what is now BCIC – launched several regional Innovation Councils beyond the lower mainland and Victoria to Nanaimo, Prince George, the East and West Kootenay. These councils, under the guidance of the SCBC were tasked with encouraging and promoting science through specific programs, training and events. The councils quickly proved to be successful in raising the profile of science and, soon to follow, technology, throughout the regions they represented. In 1998 the regional councils initiated a degree of independence from SCBC to allow for more autonomy and ownership of the programming, activities, and deliverables as per each council’s specific regional needs. It was at this juncture that KAST was launched as a non-profit. The first couple of years were spent setting up the structure with a large step forward the result of transitioning from a working board to one of governance, allowing for more effective management of resources, programming and deliverables. The second crucial step in establishing KAST as an authority in the science & technology needs in the region, was ensuring that both business and industry were represented on the board. With local CEOs of small business as well as industry representation combined with increased engagement with regional economic development organizations (Community Futures, Columbia Basin Trust), we were able to better identify not only the challenges facing entrepreneurs, business and education but effective solutions as well. Since the beginning we have worked hard to foster a culture that values science, technology, innovation and entrepreneurship as activities vital to maintaining and enhancing the competitiveness of the region. In that spirit we continue to organize and support a variety of efforts, events and initiatives that help to stimulate the growth of science and technology throughout the communities in our service area. 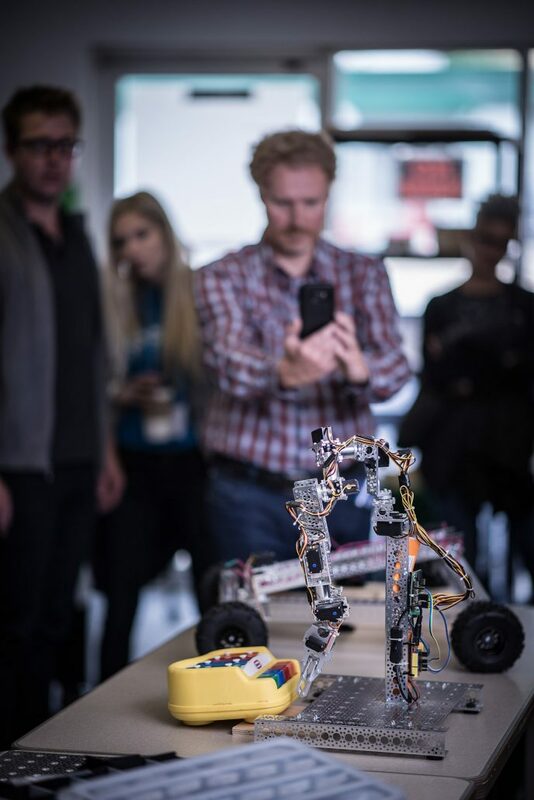 Our mission to promote and advance science and technology in the region is partially achieved through one of KAST’s primary goals, namely acting as a catalyst for advancing technological development to revitalize and diversify the West Kootenay-Boundary regional economy. We are so proud of our expanding role as important resource for promoting science and technology in the region. 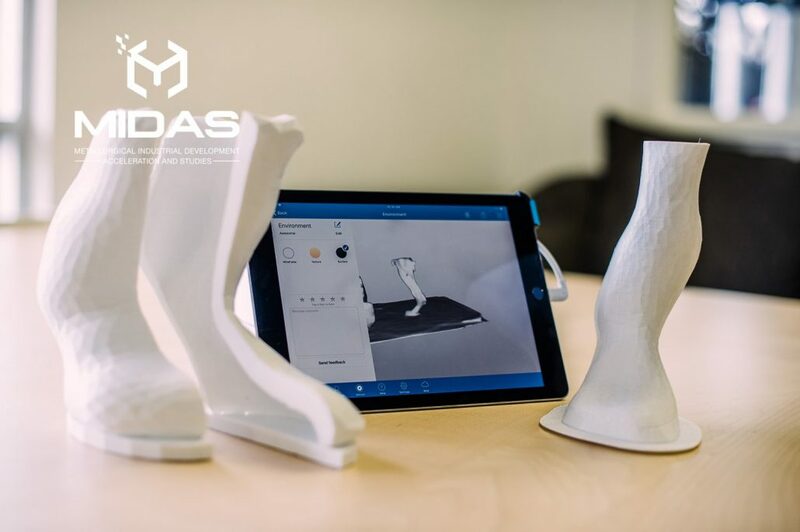 We look to provide and support programming that underpins this vision with outstanding projects like the MIDAS FabLab serving as huge encouragement and inspiration as to what is possible in the region: fusing science, technology, innovation, and imagination for both industry and public participants. KAST receives its core funding from the BC Innovation Council. In addition, every effort is made to leverage funding through partnerships, sponsorships and contracts with government and other organizations. We are proud of the skilled and talented staff that work tirelessly to implement the KAST vision and are governed by stellar representation by both the private and public sector in our diverse and inspiring Board of Directors. 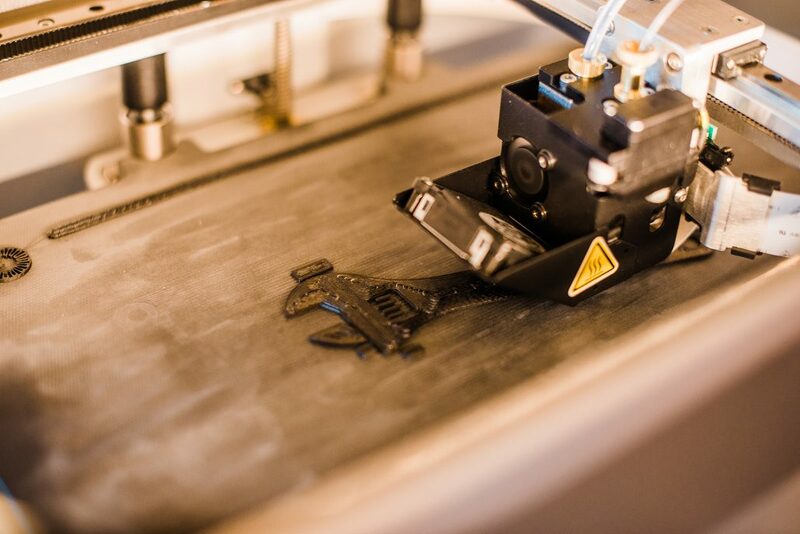 In celebration of our 20 years supporting innovation throughout the region, this post launches a little stroll down memory lane, taking stops along the way to revisit highlights in this journey of two remarkable and innovative decades. http://kast.com/wp-content/uploads/2018/04/KAST-Journey-DRAFT-TLC_Dec05NEW-FINAL.jpg 1125 875 Tracy Connery http://kast.com/wp-content/uploads/2019/03/KASTLogo-2019-white-lo-1.png Tracy Connery2018-04-13 06:01:382018-04-13 07:48:43Celebrating 20 Years: Where the KAST Journey Began!